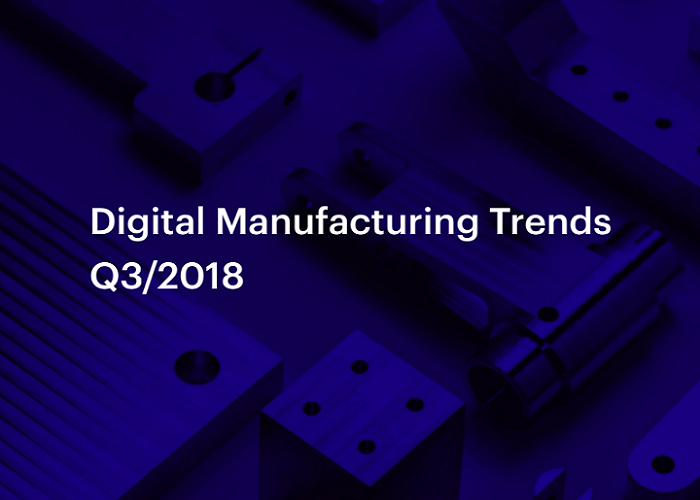 “After the introduction of the 3D Hubs waiting list for suppliers, numbers in printer model and printer manufacturer distribution have slowed so they’ve been removed for this quarter. For those still interested you can find that data on the 3D Hubs blog,” states 3D Hubs. ‘Most Used Industrial Printers’ shows a few changes, with the first two 3D printers swapping places as HP rises to #1, and the Formiga P100 being demoted to #8. “The speed and price points of HP’s new machine makes it an attractive proposition for engineers,” states 3D Hubs, which began offering MJF 3D printing in June 2017. Because of the popularity in desktop 3D printing today and so many different machines to choose from, ‘Highest Rated Desktop Printers’ is one of the most fascinating categories in this quarterly report from 3D Hubs. For Q1 2018, we see the Original Prusa i3 MK2 knocked out of the place it held last quarter at the top, replaced by the Makergear M2. The number two spot was taken this time by the Ultimaker 2+, with the Original Prusa i3 MK2 coming in third, and the Zortrax M200 following. This category showed quite the shakeup, with the MakerBot Replicator 2 appearing at #5, the ANET 3D – A8 at #6, and both the Flashforge Creator Pro and the Form 2 being sent to the bottom of the top ten. ‘Most Used Desktop Printers’ shows us that the Form 2 ends up in the top spot, switching places with the Original Prusa i3 MK2. “The Original Prusa i3 MK2 continues to showcase why it was named Best Workhorse printer in this years 3D Hubs printer guide, making 9,276 parts. The Flashforge Creator Pro maintains its spot at #3 creating 6,708 parts a marginal increase of 84 parts from Q4’s tally,” states 3D Hubs. ‘Most Used Technologies’ not surprisingly shows FDM not only at the top, but increasing its share from 61 percent to 66 percent. SLA + DLP retrieved #2 from SLS, and it has the same percentage noted in Q4 with SLS. A drop occurred from 17 percent to 12 percent. ‘Most Used Materials’ corresponds with FDM printing, as PLA and ABS take the top two spots. PLA now has 34 percent market share in the top spot, and ABS has increased from 14 to 16 percent. At number three, standard resin also moved up 10 percent on the third rung of the chart. PA12 is in the fourth spot, and makes its mark as the most popular material for use with SLS 3D printing. PETG is now in fifth, while ASA shows up at the seven mark. “Both materials make great alternatives to ABS, PETG thanks to its ease of printing and ASA due to its chemical/weather resistance,” states 3D Hubs. ‘FDM Color Distribution’ continues to be dominated by black and white. And as for the top 3D printing cities—always another fascinating category—New York ousted London for #1, taking its place back at the top. Melbourne makes its debut at #4, and Auckland at #7. “Both the U.S and Canada have three cities in the Top Print Cities, with Canada’s three being a large part of the countries total and the U.S’s quite the opposite as the spread has increased,’ states 3D Hubs. ‘Top Print Countries’ still shows the US and the UK in the top two spots, while Canada rose up three spots. The new categories regarding CNC services show that aluminum is the material most used, at 55.5 percent. Stainless steel 304 took the second spot at 12.6 percent, with Other coming in third at 9.6 percent, and ABS at number four with eight percent. “The striking lead at the top for Aluminum is down to the price point at which it’s available, the material properties it offers and its ability to be machined easily,” states 3D Hubs. ‘Most Used CNC Finishes’ features the most common selection in leaving the part ‘as machined.’ Bead blasting came in next in popularity, and then Anodizing type II. You can learn more by checking out the Q1 3D Printing Trends here. 3D Hubs users who are logged in can just enter their email address to receive the report in their inbox. For more of 3D Hubs’ thoughts on 3D printers this year, you can also check out their 2018 3D Printer Guide. What do you think about this quarter’s trends? 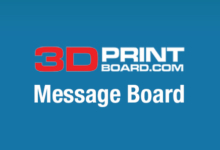 Discuss this and other 3D printing topics at 3DPrintBoard.com.